You don’t want to talk about it? That’s ALL I seem to talk about these days. 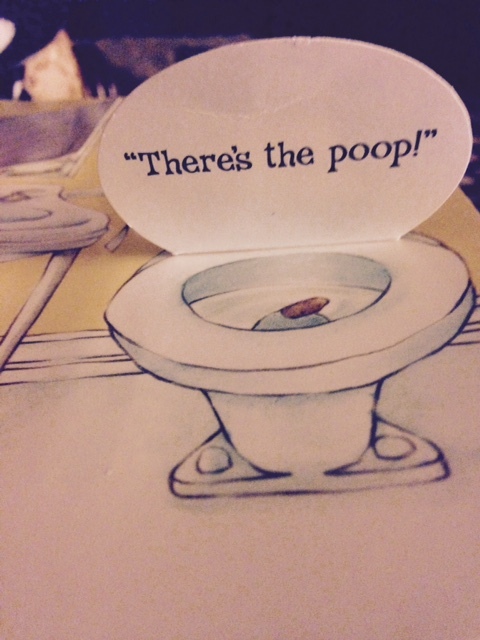 Not one day goes by without mention of poop. So you can leave now, or just hear me out. 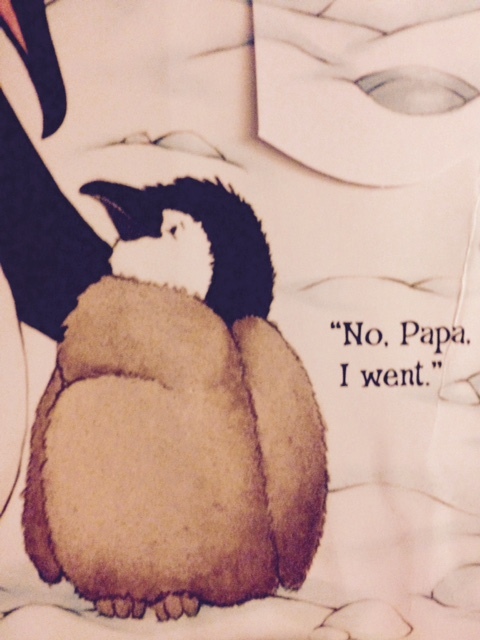 Jenna: Mommy, I pooped! It’s so cute!! Me: No, Jenna. It’s not cute when it’s in your pants. It’s only cute when it’s on the potty. Me: No Jenna… it’s soooo cute!!! Poop is adorable on the potty, we love poop on the potty! We flush the poop. Wave bye-bye. She yells down the toilet “Have fun with your friends!!”. Because in our world, poop and pee can’t wait to get out and into the potty, where they can be flushed to catch up with their family and friends having a big poopy party. 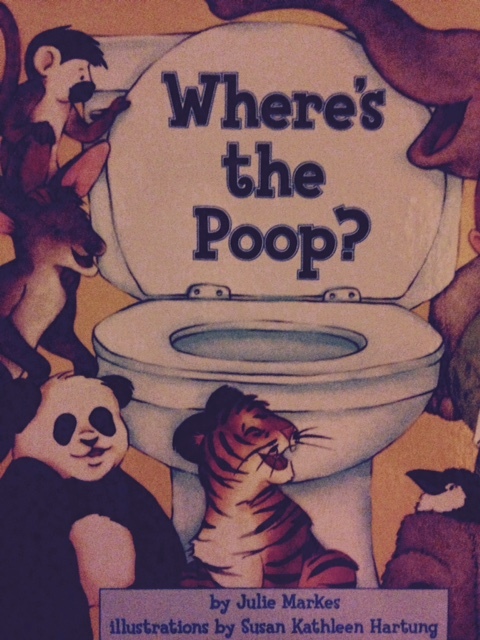 I was organizing books today, and noticed our large selection of potty training books. One of their favorites?? 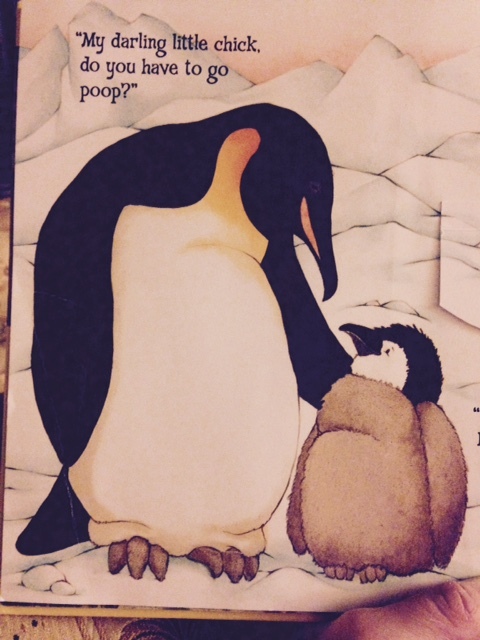 A cute take on showing little ones that EVERYONE poops. Even wild animals like elephants, kangaroos, tigers and monkeys. One of Jenna’s favorites? Baby penguin. Nope, I pooped behind that rock. Now go find it!! 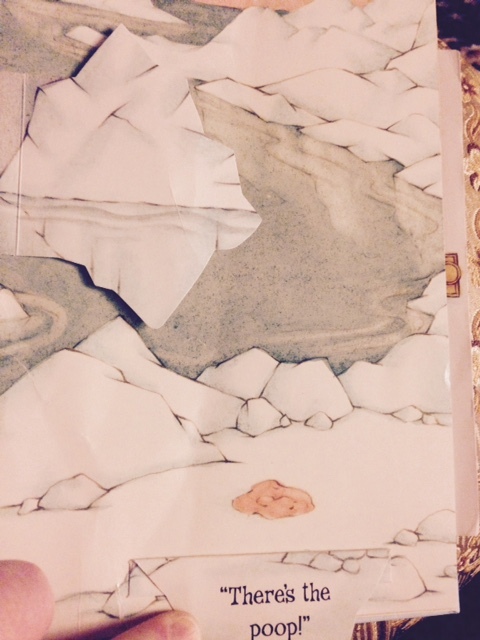 It’s a pop up book, but here’s a hint for parents… the poop is always hiding in the lower left corner. wink. Of course. It has to be tied in to humans at the end, or there is a real chance we could be teaching our kids to just go poop behind whatever they want. Cover it up, and let us find it. Fun!! 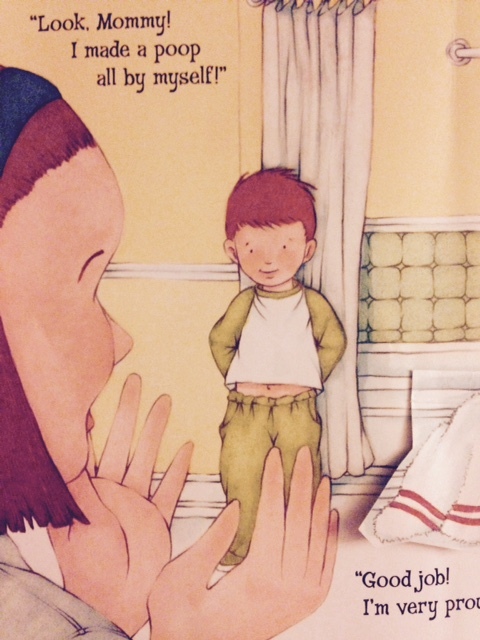 Here is the little boy, proudly telling his mom about his own poop. Where is it?? Where is that poop? Jenna knows!! Anyway…. that’s what we do around here. Pretty much every day. In case you were wondering. 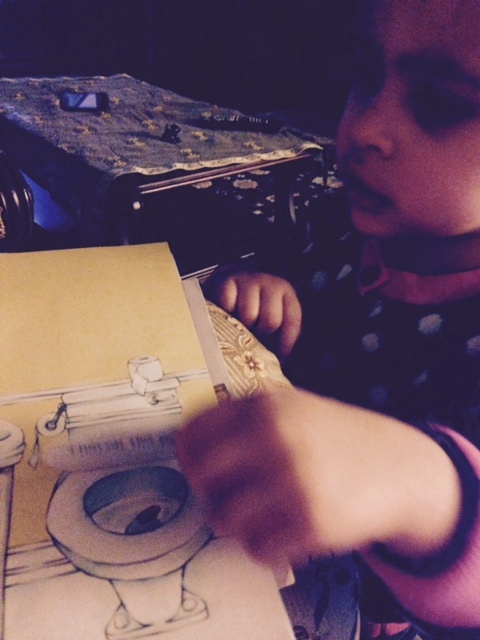 This entry was posted in books, humor, kids, potty training and tagged children, poop, potty, potty books, potty training. Bookmark the permalink. Oh, don’t ever grow up. It would make parenting so much worse if we tried to be all grown up about it! !